There have been 55 spurious-liquor related deaths in the state between 1997 and 2012. Aizawl, Feb 26 : At a meeting with MLAs, Mizoram’s biggest church organisation on Tuesday urged the government to continue implementing a law that prohibits the sale and consumption of alcohol in the state. The Mizoram government is gearing up to allow the sale and consumption of liquor by presenting a new law in the upcoming Assembly session next month that will change the provisions of the Mizoram Liquor Total Prohibition Act, 1995. “Since the implementation of total prohibition, our public areas have become safer and more peaceful, there have been less vehicular accidents caused by drunk driving and alcohol-related violence has decreased visibly,” the church said in a written note distributed to all the legislators who attended the meeting. “Given that alcohol harms human health, disturbs social relations and even spiritual well-being, we believe allowing alcohol to be more free is not likely to benefit us,” the note added. Except for Assembly Speaker Hiphei, neither CM Lal Thanhawla nor any of the other 29 MLAs present however offered any comment on the Church’s plea. 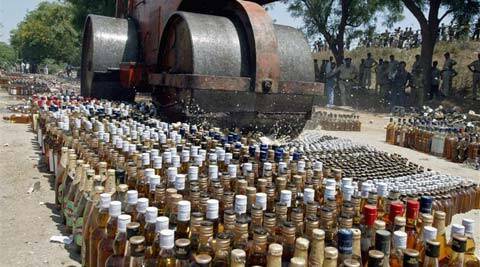 According to the Excise and Narcotics Department, there have been 55 spurious-liquor related deaths in the state between 1997 and 2012.